The live theater industry is looking for ways that technology can help bring the business of Broadway into the modern era. Enter stage left: The Broadway Tech Accelerator, a new effort backed by theater giant The Shubert Organization and Exponential Creativity Ventures. Why it matters: Live theater, like other entertainment industries are trying to embrace technology in their work while also mindful of technologies that might make their core businesses less popular or valuable. 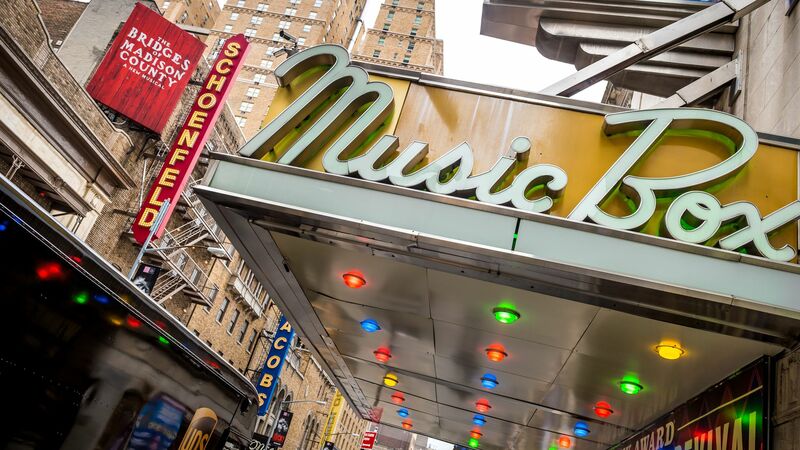 Bigger picture: Broadway is behind other live events businesses when it comes to embracing technology, Shubert digital project director Kyle Wright told Axios. "Sports has always been fantastic at this," Wright said. "Broadway and performance arts are behind." Applications are being solicited now, with the first cohort of four companies set to begin a 12-week program in June. The first two weeks and last two weeks will be in New York, with the remaining weeks being done remotely. The selected companies will get to take part in the program, receive an equity investment as well as an opportunity to pilot their technology within Shubert, if feasible. Bottom line: The goal is threefold, Wright said, to use technology to help broaden the diversity of voices that find their way onto the stage, to keep the theater industry relevant so people want to keep seeing live events and to make sure the industry remains relevant a decade from now. "Innovation and technology are a huge piece of how we attract talent to help solve these problems," he said.